What is the Staples’ Tech Trade-in Program? The Staples Tech Trade-In Program is an easy way to get paid for your used tech products both online and in-store. You can easily find a store close to you that accepts trade-in items at: https://stores.staples.com. To trade in tech items online please go to: https://tradein.staples.com. What items can I trade in? We currently accept the following items for the trade-in program. To participate in our Tech Trade-In Program, you must be at least 18 years of age with a valid government-issued photo ID. How much can I get for my stuff? The age and condition will affect the trade-in value of your device. Many newer devices in good condition are worth hundreds of dollars! The program is designed to offer great pricing with the lowest conditional requirements. Items with compromised screens may still be traded in but will receive less than those without dark spots, cracks, etc. *Please note that while power supplies and electrical cords are not required, LAPTOPS receive maximum value when they are included with the return. Use our estimator at https://tradein.staples.com/ to find out how much your items are worth. Can I trade in more than one device? Currently, our system limits you to one device per transaction but you may process up to (5) transactions. Some offers may be linked to special promotional offers which require a purchase with trade-in. These conditions will be clearly stated at the time of offer. (Attaching a spreadsheet of this list in an email is welcome too.) One of our team members will respond to you within 2 business days on next steps. How do you protect any personal information that may be left on my device? We are 100% committed to data security and provide a closed loop integrated solution with no outsourcing. Our labs, processing and repair facilities are ISO 9001 & ISO 14001 certified. Upon arrival, all devices pass through an automatic clearing process to verify the device is data cleared. Devices that are not able to be verified are not eligible for repair or resale and will be returned or destroyed. Our 3-step process ensures a smooth transition between trading in your tech item and receiving a Staples eCash card. Go to https://tradein.staples.com/ to choose between finding a store to bring in your device or getting a quote online and shipping it to us for free. Both trade-in methods result in you getting paid with a Staples eCash card to use on anything in store and online. What is the difference between trading in at a Staples store or on Staples.com? Trading in at participating Staples store locations allows you to instantly get a Staples eCash card once your tech item has been evaluated and accepted. To trade-in your tech items online you will ship your items – at no cost to you. Once your item has been accepted we will email you a Staples eCash card to use on anything in store and online. Most Staples stores in the US accept tech trade-in items. To find the closest store that utilizes the tech tradei-in program, use our store locator at: https://stores.staples.com. Scroll down to Capacity. The number here will never be exactly 8, 16, 32 or 64 GB due to formatting, but the capacity will be any of the above. 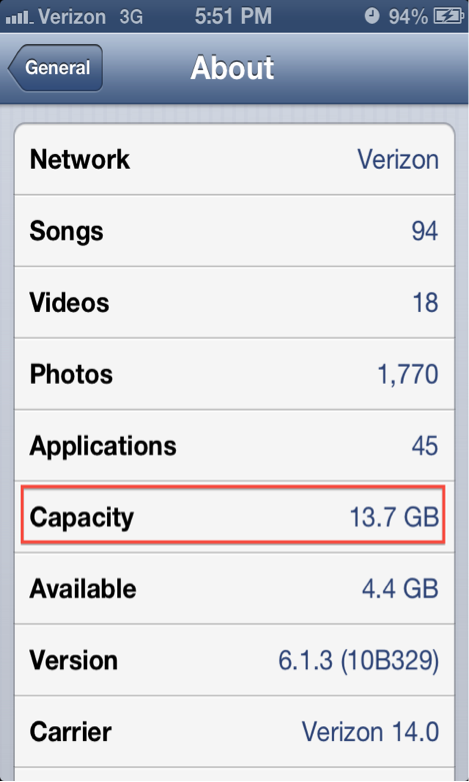 For example, in the image below, the capacity says 13.7 GB. Therefore, the capacity of this phone is 16 GB. This is because the number is above 8, but below 16. It's important to make sure you know the exact model of your device so we can issue your Staples eCash card quickly after inspecting it. Why can't I find my device? It's helpful to make sure you know the correct model of your device when searching for offers. Learn more here on how to easily find your model number. If you still don't see your device listed, it most likely means that we are no longer purchasing that particular model. Please note that we only accept trade-ins for certain smartphones and tablets. How do I determine the condition of my device? 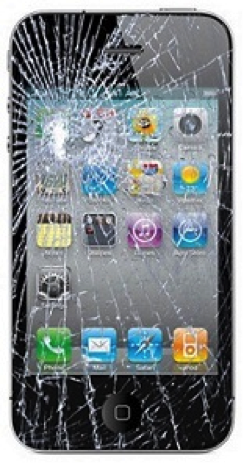 Indicating the correct condition of your device on your trade-in is very important to receive your full quoted offer. The program offers great pricing with minimal conditional requirements. Please answer the conditional questions appropriately. Tip: For a detailed description, click on the “?”. Can I trade in my device if the screen is cracked? Yes! You’d be surprised how much money you can make for some devices even if the screen is damaged. Think of it this way: instead of spending money on screen repair, you can earn a Staples eCash card by trading in your broken device. Just be sure to answer the conditional questions correctly and check the (?) hover overs for more detailed information. If your Apple device is running on iOS7 or higher, it’s really important to quickly make sure you’ve turned off Find My iPhone (a.k.a. “Activation Lock”). If you do not turn it off before mailing in your device, we will revise your offer price or return your device to you since we cannot inspect the device. But don’t fret! 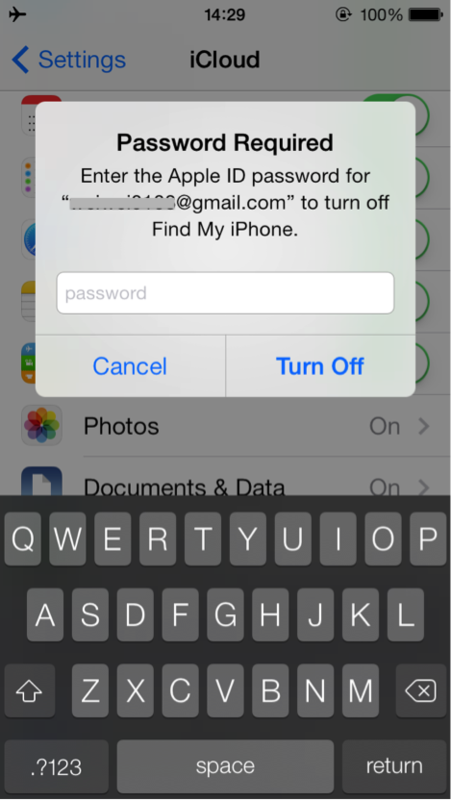 We will give you the opportunity to turn off Find My iPhone remotely even after you've mailed us your device. You’re done! Find My iPhone is turned off and you’re ready to mail your phone to us. 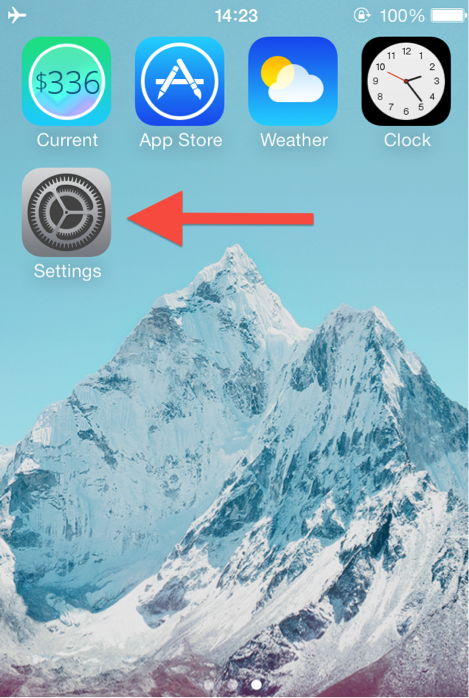 Need to know how to turn off Find My iPhone remotely in iCloud? Learn more here. 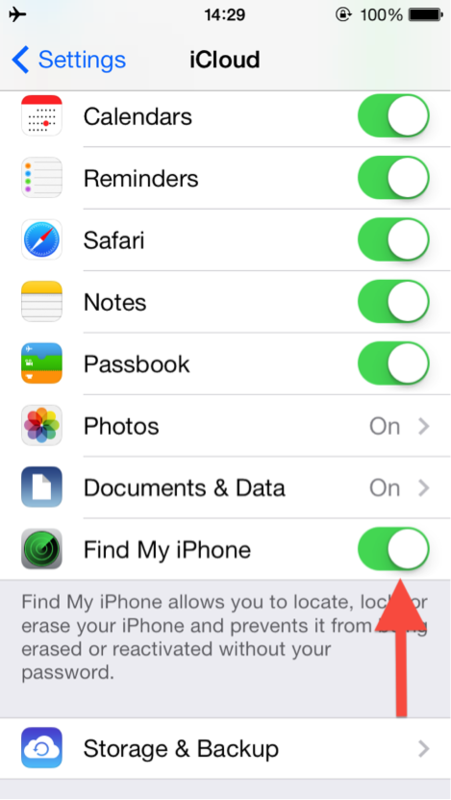 This process to turn off Find My iPhone above follows Apple's best practices. If you do not turn off Find My iPhone (a.k.a. “Activation Lock”) before mailing in your device, this will prevent us from inspecting it. But don’t fret! We will contact you and give you the opportunity to turn off Find My iPhone remotely in your iCloud account after you mailed it to us. IMPORTANT: If you don't respond to our request to unlock your phone within 7 days, we will return your device to you. Select the device you mailed to your buyer. At this point, it should say “Offline.” Click the X to turn off Find My iPhone. If you can't remember your Apple ID to log in to your iCloud account and turn off Find My iPhone remotely, go here to retrieve it. If you need to reset your Apple ID password go here. How do I prepare my Mac for trade-in? If you use iTunes, you'll want to de-authorize your computer. 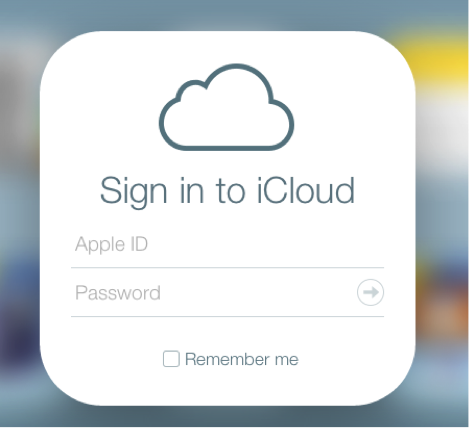 Back up your iCloud data following Apple's iCloud instructions. Choose Apple Menu () > System Preferences, and then click iCloud. It is important to disable Find My Mac from the iCloud settings in your Mac's System Preferences. Back up your data with using Apple's suggested backup methods. Find backup instructions for OS X Mavericks here and Mountain Lion here. Go to the Messages, app and choose Preferences > Accounts. Select your iMessage account, then click Sign Out. How do I identify my laptop's processor type? When trading in your laptop, it is important to identify the model with the correct processor type. For laptops running Windows OS, you can refer to the System Properties via the Control Panel or by pressing the Windows key. There are also software programs available such as CPU-Z that you can run to identify your processor type. For Linux users, you can check the /proc file system to retrieve CPU info. The details for your laptop's processor type is accessible via the System Properties panel in Windows. You can access System Properties in Windows in 2 ways. Note: The steps to access System Properties vary slightly depending on your version of Windows. If you need further instructions, you can refer to this HP help article for steps for different Windows versions. Press the "Windows" key on your keyboard simultaneously with the "Pause" key to open the System Properties window. For Mac users, you can quickly access your processor details via the About this Mac dialog. In the dialog that appears, you will see Processor displayed along with Memory and OS specifications. How do I wipe the data from my phone? Wiping the data prior to shipping helps to secure data during transit and is part of the conditional questions. Data clear will be verified upon arrival. 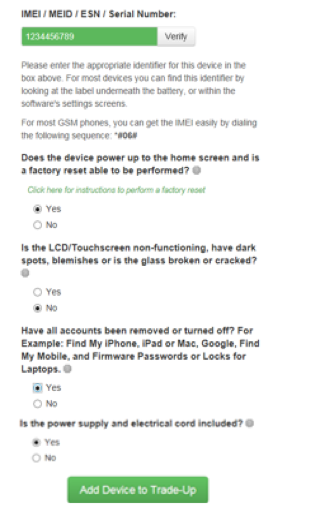 To assist in ensuring verification, you should perform a factory reset. Scroll through the list below to find simple data-wiping instructions for your device. How do I wipe the data from my tablet? Wiping the data prior to shipping helps to secure data during transit and is part of the conditional questions. Data clear will be verified upon arrival. To assist in ensuring verification, you should perform a factory reset. Scroll through the list below to find simple data-wiping instructions for your tablet. Select 'Erase All Content and Settings'. You may need to enter your password, then you'll see a message stating "This will delete all media and data, and reset all settings". Your kindle must be at least 40% charged. Click on the icon at the top right corner. If we receive your phone with a bad ESN due to an outstanding balance or active account, it will most likely be considered damaged, and you may be offered a lower price. So please be sure to clear your account with your carrier before mailing us your phone. If you are unsure about your phone's ESN, please contact your wireless carrier to find out if it's clear to be activated by a new user. Please note: Any attempt to sell a lost or stolen phone through Staples® is a violation of our Terms and Conditions. How do I deactivate my device's service (clear the ESN)? You'll need to contact your wireless carrier to clear any issues so that it is no longer tied to an active account (also known as having a "Bad ESN"). According to our Terms & Conditions, your device must be clear for activation before trading it in. If we receive your device and find that it has an active ESN, we will contact you via email to request that you fix the issue with your wireless carrier. You'll have 5 days resolve the issue. A SIM (Subscriber Identity Module) card stores your personal data such as your contacts, phone number, text messages and service-subscriber key, and is interchangeable between GSM devices. You do not have to send in your SIM card — unless you’re selling a MetroPCS phone. For all other carriers, please remove your SIM card before sending in your device, as we destroy SIM cards upon receipt to protect your private data. On most phones, you can easily remove the SIM card by pulling off the battery cover and sliding the card from the slot. Offers are valid for 30 days from the day you place your trade-in order. It's best to mail your device as soon as possible so you can get your Staples eCash card fast! You can track your order by going here to look up your order by order number or the email address that you used to place your order. Your payment is issued as a Staples eCash card that you can use online or at any Staples® store location. How long will it take to receive payment once I trade in my device online? You will receive the Staples eCash card within 15-30 days after your used device is received and accepted. What is a Staples eCash card? When your trade-in your device with us, your payment is issued as a Staples eCash card that you can use online or at location. Staples eCash cards never expire. Is there an expiration date on my Staples eCash card? No, our Staples eCash cards never expire. 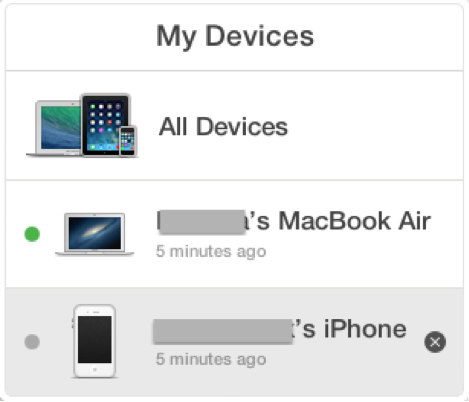 Find My iPhone or other accounts are still active; the laptop has a firmware lock or requires a password. If active, these accounts or passwords will prevent the device from being processed. If you receive a revised offer, you'll have 5 days to accept or decline the new offer price. What if I disagree with the revised offer that I was quoted for my device? Once you decline the revised offer, we'll mail back your device to you free of charge within 2 business days. Why haven't I received any email notifications about my trade-in? We send you email notifications at every step of your trade-in. If you haven't received any emails, please check your email Spam folder, as there's a chance email notifications have gone there and wouldn't have showed in your inbox. You can also track your order here to find out the current status of your trade-in. Do I need to charge my device before I mail it out? It's not required, but it will help your trade-in be processed faster, as we will not have to charge it when it arrives. To verify that a device is data clear, it needs to power on and off and hold a charge. If you can charge the device normally, the device should data clear. How should I prepare my device before I mail it? You must reset your Device to factory settings and remove any passwords or locking features before sending it in; refer to your phone instructions manual or contact your device's Customer Support to disable those features. 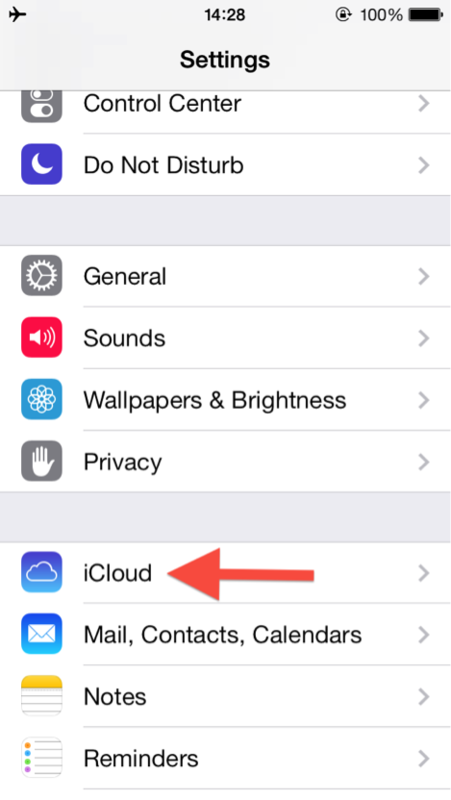 If you’re trading in any device that is not an Apple product, please make sure your protection lock, cloud accounts are deactivated and/or all firmware locks have been removed. Please remove your SIM card before sending us your device, as it will be destroyed upon receipt to protect your privacy. To protect your privacy, we'll wipe the data as soon as we receive your device. Precious photos you couldn't live without? Make sure you back up any data on your device. This is not required, but it's always good for your own reference as proof of ownership in case, for example, you forgot to deactivate your account. Be certain to include your power supply and electrical cord when trading in Laptops as you may receive a revised offer if not included. Offers expire 30 days after your order date, so we should receive your device before that expiration date. How should I package my device? Check the integrity of the package, that it is properly constructed and in good or new condition. Apply tape evenly across all flaps so the middle and two edge seams are sealed, (the H taping method). Do not use masking tape, cellophane tape, duct tape, string, or paper over-wrap. Use a strong tape, two inches or more in width, which has been designed for shipping. We recommend using tamper-proof tape to ensure the integrity of the contents. Devices must be securely shipped, not overpacked and not loose in the package. Bubble wrap or other cushioning material may be needed to secure the device and accessories while in transit. Make sure to check your email for order updates from us! It's important that you stay updated on the progress of your trade-in. We'll email you along the way, such as when we receive your device, and issue your payment. So please make sure to check your email inbox (and Spam folder just in case). If you have a question about your trade-in order, you can track your order here.